The NDP MP spearheading a bill that would legalize single-event sports betting in Canada calls the NHL's decision to expand in Las Vegas "complete hypocrisy." "It's a complete betrayal of Canadians," Windsor West MP Brian Masse said. "They had pushed against single-event sports betting in Canada. Much of the leverage they used was that they would not advance Canadian franchises [if single-event sports betting was legal]." Earlier this week, the league approved an expansion franchise in Sin City while it deferred a bid by a group from Quebec City. That group had been pursuing an NHL franchise to replace the Nordiques. 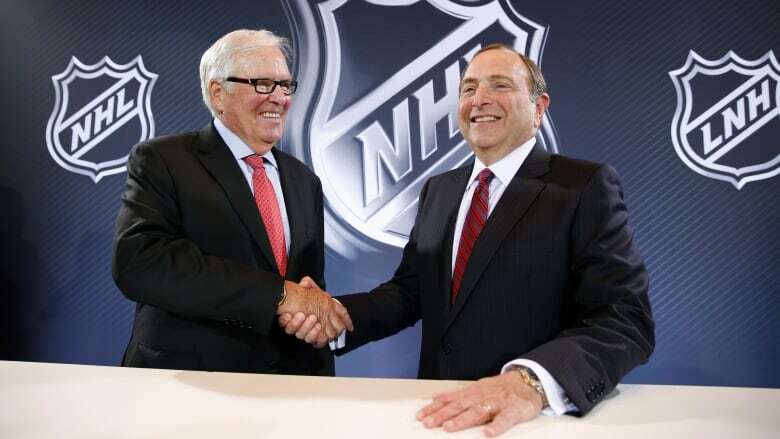 "The NHL has now turned their backs, thumbed their nose and stuck out a finger at legislators here in Canada, because they're doing this in Vegas and perpetuating their own profits at the expense of Canadian hockey," Masse said. Calls and emails to the NHL were not immediately returned Thursday. Masse tabled Bill C-221, known as the Safe and Regulated Sports Betting Act, last year. It was one of his first orders of business after re-election. The MP reiterated he believes single-event sports betting will take $10 billion out of organized crime annually and that the money can be used for social causes, like health care and education. It's the latest attempt to legalize single-event sports betting, something former NDP MP Joe Comarting tried to get passed in the previous session of Parliament. Comartin's Bill C-290 received all-party support but died in the Senate when last year's election was called. If passed, Masse's bill would let provinces and territories allow betting on single sporting events. Currently, gamblers in Ontario, for example, must bet on a minimum of three games, otherwise known as a parlay bet. Gamblers need to correctly predict the outcome of all three games in order to win. Masse can't understand why the NHL opposes his bill but approved moving into Las Vegas, where it also holds the league's annual awards ceremony. "The NHL did their own single-event sports betting on their website," he said, referring to the fantasy sports website Draft Kings, which has a partnership with the NHL, "and now they've moved into the gaming mecca of the world. They moved into the lion's den of sports betting across the globe." Masse's bill has received two hours of debate during second reading and Masse expects a vote on whether to send it to committee will happen in September. "I will be lobbying across the summer a variety of MPs on this issue. I won't be taking the summer off," he said. "There will be other work I do, but there will be a focus, to some degree, on this. "This is our last chance to get it." If the bill is defeated, a similar bill can't be tabled by members of opposing parties during this session of Parliament, Masse explained. If the bill is defeated, Masse doesn't expect the Liberals to table anything similar "because they would have to admit they were wrong." Liberal MP and former Toronto police chief Bill Blair opposes the bill. "In my view, even if Bill C-221 were to pass, the vast majority of those who bet with illegal bookmakers would continue to do so. This is because bookmakers extend their credit directly to the bettor, unlike the provinces and territories," he said last week during debate. "Sports leagues are rightly concerned to ensure that there is no match fixing. Professional sports leagues previously have strongly opposed similar bills. They have argued that allowing single-game betting would open a Pandora's box of match fixing and social problems associated with gambling."